Fred is a fourth generation Idaho native currently living in Boise, Idaho. In 1984 he completed his first large mural commission in downtown Boise, for which he received Boise's annual "Design Review Award," beginning his career painting wall murals for both homes and businesses. 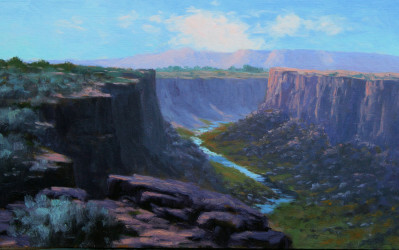 In 1995 he was introduced to plein air painting by Tom Szewc and Ovanes Berberian. 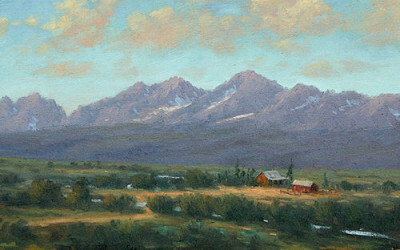 When he is not working on a mural commission he can usually be found painting the Idaho landscape. 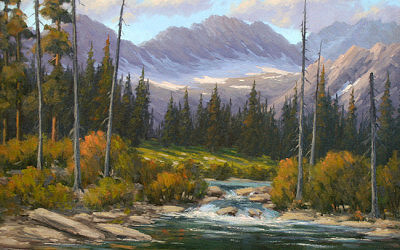 Idaho Public Television has called him the "Painter of Idaho" for his creativity in capturing the spirit of the Idaho outdoors. 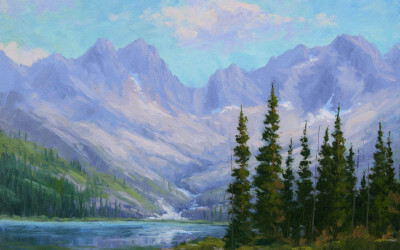 Fred also teaches classes in landscape painting! "As I have aged, I have become very passionate about the land of the Northwest, but it is the water that I seem to find most fascinating. Philosophically, I find the connection of water to the land very interesting and compelling. 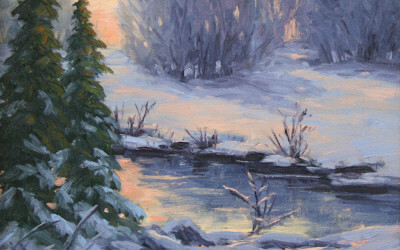 Artistically, it is the elusive interplay of it and light that I find the most challenging. 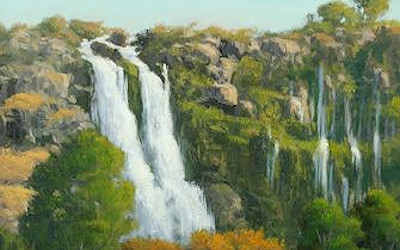 Every time I paint a body of water the problems require different solutions, whether it is dancing reflections or the illusion of transparency, water never fails to challenge me."